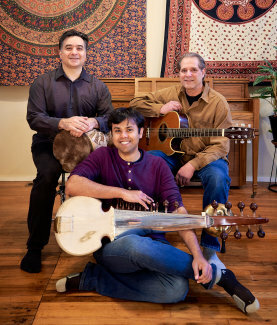 The music of Catalpa draws upon music traditions of the East and West creating a unique sound that is as pleasing to the ear as the Catalpa tree is to behold. Journey through original compositions and beautiful improvisations that flow into powerful movements with breathtaking intricacy and speed. 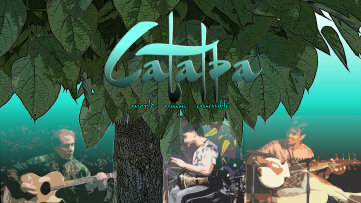 The power trio, Catalpa, has been mesmerizing their audiences in Athens and Atlanta, Ga with unique soundscapes, arrangements and captivating melodies. Catalpa is a tree with heart shaped leaves. Not only is it a large tree providing ample shade, its medicinal attributes are well documented... It's bark and leaves can be boiled to make a tea and poultices, often used in herbal medicine as mild sedatives and laxatives, and to treat skin wounds and abrasions. The leaves, flowers, bark, and roots have been used as a treatment for snake bites, whooping cough and even malaria; while the flowers and seed pods have also been used to make medicines for bronchial infections and asthma. Our name is thus a metaphor for our music: healing, spiritually uplifting, mystical, and inspirational.